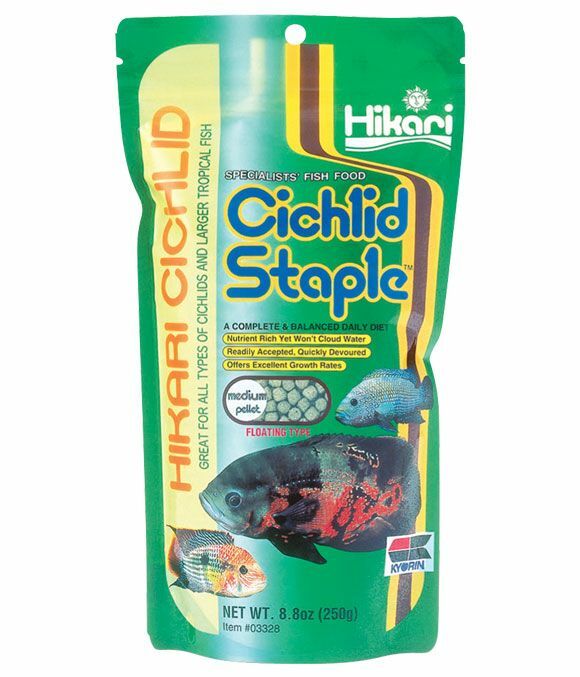 Hikari Cichlid Stable Aquarium Food is a nutritionally balanced, floating food which provides improved digestion and excellent growth rates for all Cichlids and larger tropical fish. It has been formulated to ensure the pellets are well accepted and devoured quickly. Feed two to three times daily the amount your fish will completely consume in a few minutes. Care should be taken to avoid over-feeding and always remove uneaten food after the feeding period. There are currently no questions for Hikari Cichlid Stable Aquarium Food - be the first to ask one!